Mango & Tomato: Sriracha Edamame Appetizer: Your Lips Will Be on Fire! 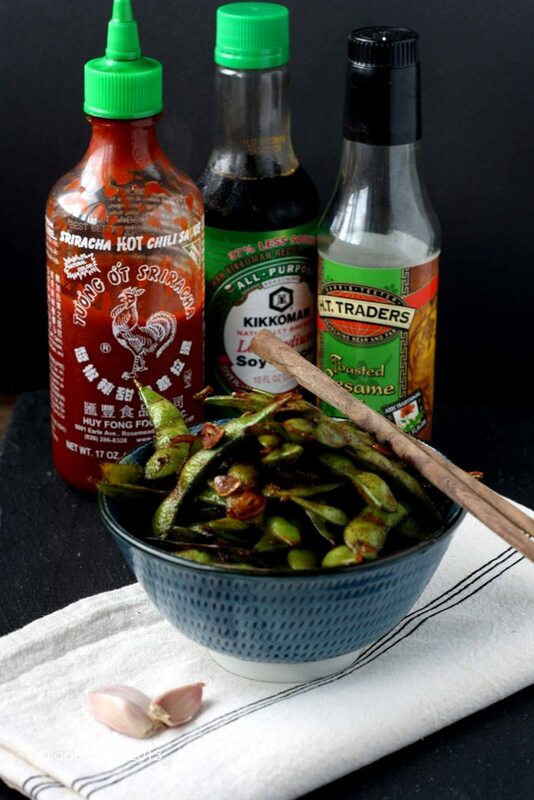 Sriracha Edamame Appetizer: Your Lips Will Be on Fire! Get ready to spice up your life, or at least bring some heat to your lips, with this Sriracha Edamame Appetizer. This recipe is inspired by my twin Anna's creation. 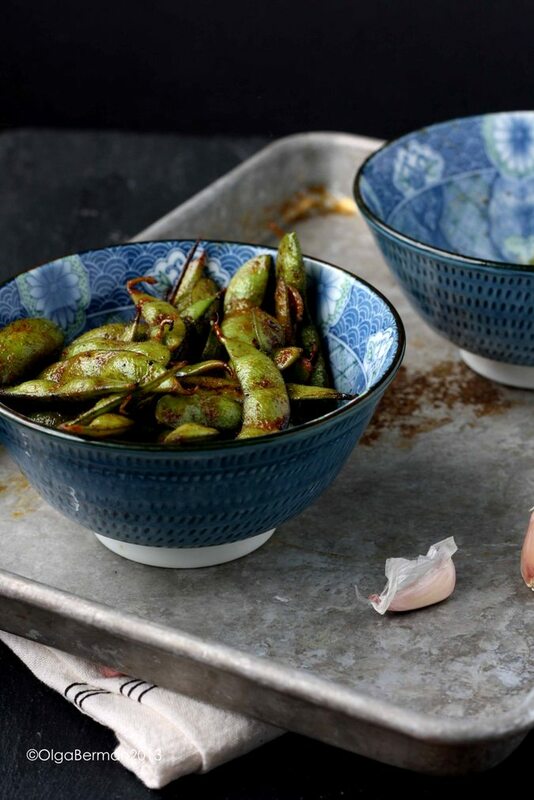 When I was visiting my family in Seattle in June, Anna had a get together with her friends to watch The Bachelorette and made a fun appetizer of edamame cooked in a skillet with soy sauce, sriracha, and a few other things. 1. 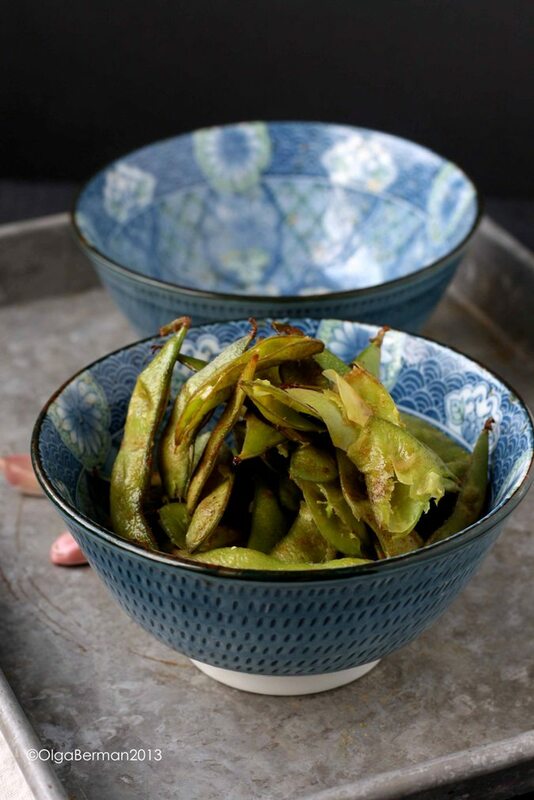 Cook edamame in boiling water for 2 minutes. Drain. 2. Heat the oil in a skillet, add edamame, soy sauce and sriracha. Saute for 5 minutes. 3. Add sliced garlic and saute for 2 more minutes. 4. Taste and add more soy and/or sriracha as needed. 5. Drizzle with a bit of sesame oil before serving. Ooh, this was spicy!!! Of course you can add as much or as little sriracha depending on your tolerance for heat. This is best served hot. 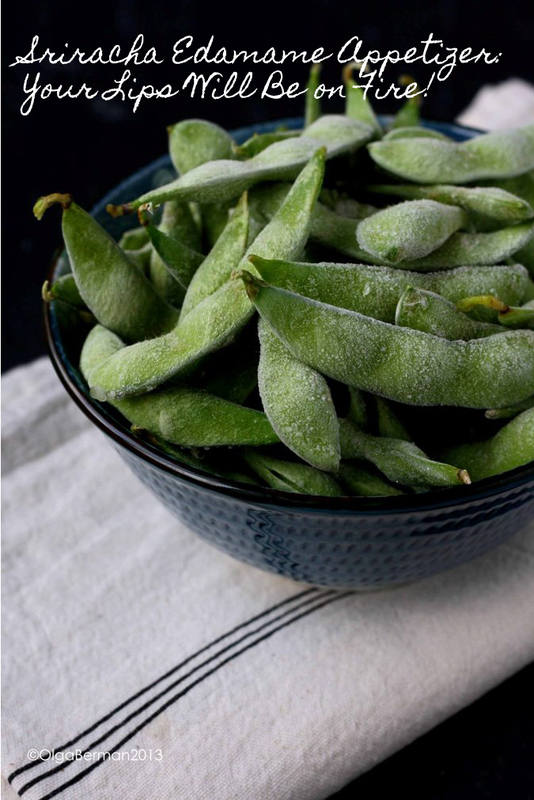 Have you cooked frozen edamame? How do you like to eat it?